Some mornings at our house are just plain busy. Most days we always have time to eat a healthy balanced breakfast but let's face it, sometimes we all have those "grab and go" mornings. 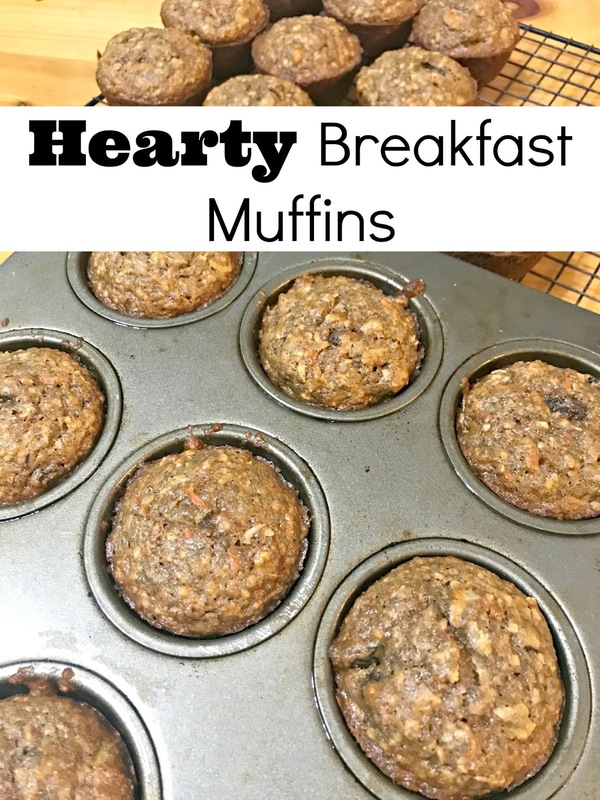 Rather than fill our tummies with Pop Tarts and Toaster Strudels, I whipped up these Hearty Breakfast Muffins to get our bodies moving on the way out the door. Packed with bananas, carrots, oats, walnuts, coconut, raisins, chia seeds, yogurt, and whole wheat, these muffins are nutty and just slightly sweet.